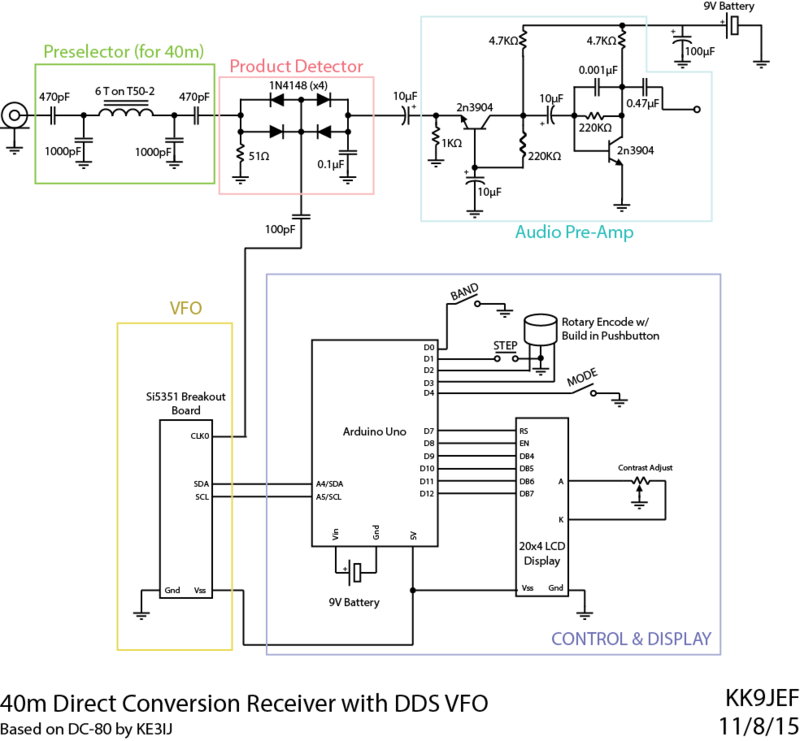 This work follows directly on from my initial thoughts on an Si5351-Based Transmitter. Check out that post for background. This project ulimately got packaged up into the SI5351 Signal Generator/VFO. This week I finally got around to improving the transmitter/amplifier I started work on back in March. With a shipment from KitsAndParts, I replaced the J110s that had been part of this amplifier and replaced with BS170s. The differences between the parts are striking – the J110 is a general-purpose JFET (which is by definition a depletion-mode FET) with a rated power disipation of a few hundred milliwatts. 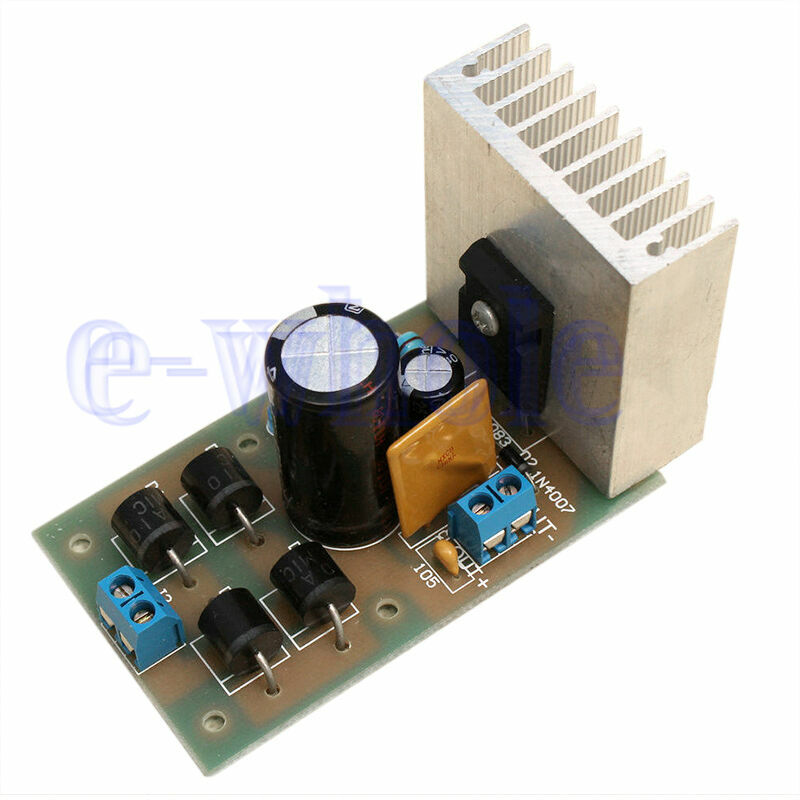 The BS170 is a fast-switching enhancement-mode MOSFET with a rated disipation of 800 mW. I stripped the heat sinks that had been on the J110s off and threw them on the BS170s. These puppies still do get hot, and even with the ability to dissipate almost a Watt, I think they’d not be pleased too much heat. The heat sinks, plus some thermal goop from Microcenter, are easing my mind a bit. Now, being driven by the Si5351, the amplifier puts out about 1W on a 5V supply, and about 5W on a 12V supply. 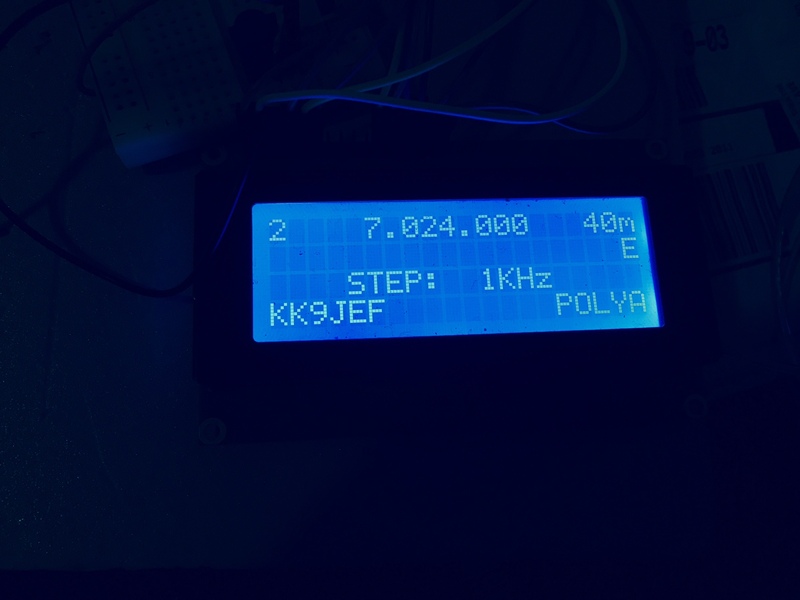 Not a particularly clean signal, mind – the 5W is as measured in the power meter of an MFJ-949 – but it is an actual 5W! It was only a matter of time until something blew up. And last night, it was TWO things. The first one was my own darn fault – I’ve been playing around with some simple transistor amplifier circuits, and mis-read one of the transistor data sheets. When I hooked it up a 12V power source… BANG! You can see the TO-220 package there, literally split in half by the power of electricity. Zam zam! Turned out I had grounded the emiter and applied 12V to the base of the transistor. It blew apart in my face in a shower of sparks. You can’t make radios without breaking a few toys. Thankfully, the Si5351 breakout and the nice LCD screen I had hooked up were unscathed. Another sacrifice to the radio gods. Update 2/29: I’ve toasted another one! 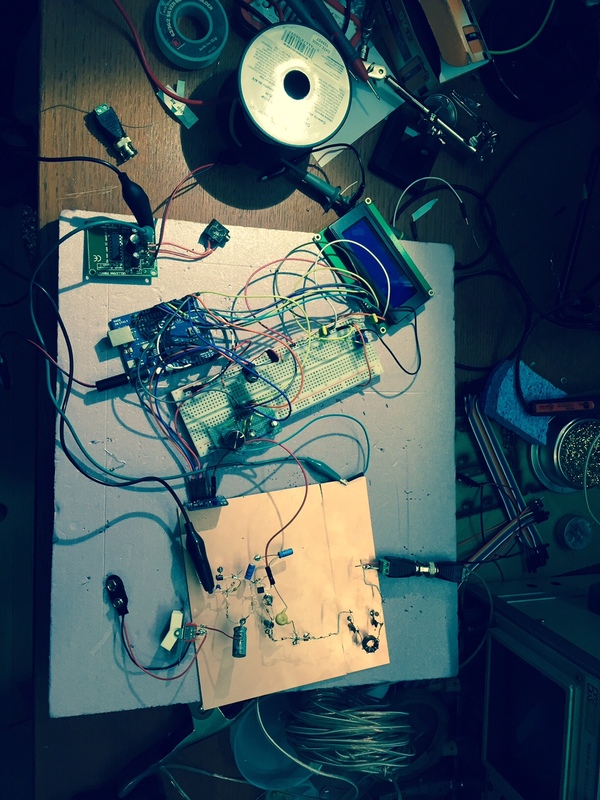 I’ve been using my old Duemilanove to work on a transmitter project, and apparently relying on its little 5V regulator to power an LCD screen, an Si5351 breakout, and provide bias current to the finals was just too much for the little thing…. Lots of toys on the desk! All nicely package and bubble wrapped. Si5351 Breakout Board– the handy clock-generator chip I mentioned in my previous post. 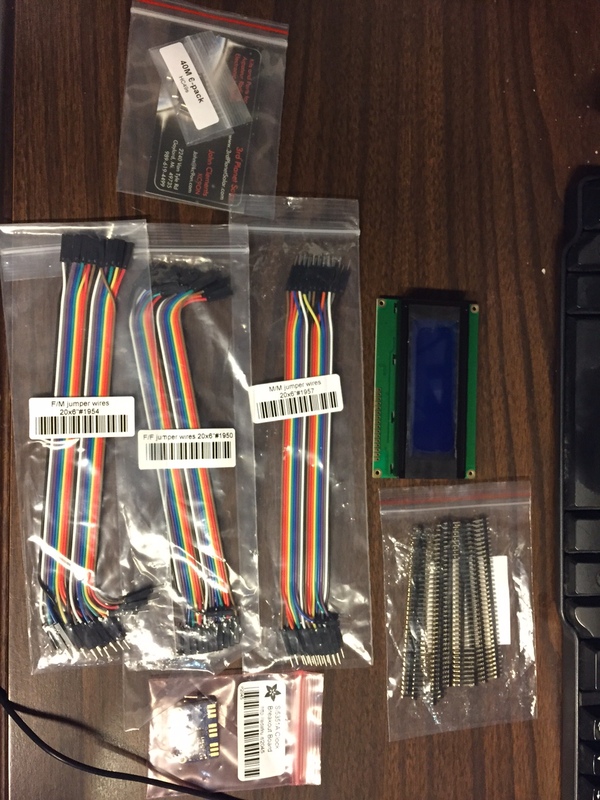 And it came with a 7-pin male header! How kind! 20 each of male-male, female-female, and male-female 0.1″ pin jumper wires. I’ve always laughed at these a bit – they’re just wire – but for $1.95 for each pack of 20 and no additional shipping charge, why not? A bunch of breakaway 0.1″ male header. You can always use more breakaway male header. A six-pack of useful 40m Crystals – 7.030, 7.050, 7.055, 7.110, 7.114, and 7.122. A piece of cake to order through ebay, and John shipped them out in no time. Came packaged in a nice mailing envelop with invoice – would gladly order from this source again.